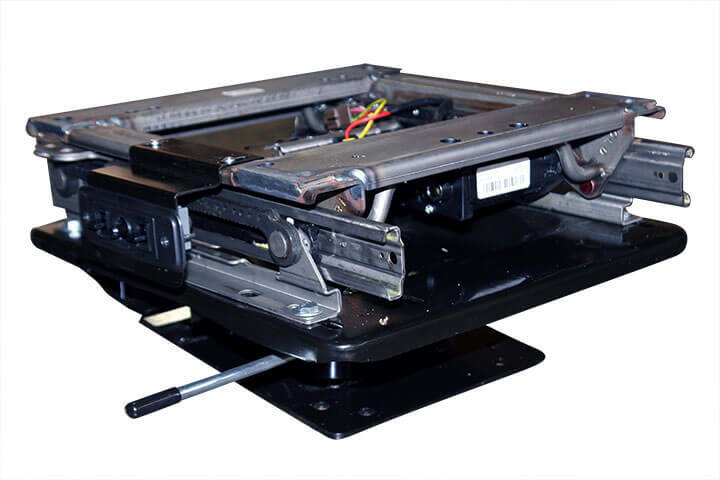 The 2007-2013 Sprinter Adapter Bracket was designed for after market seats. It features an 8x11" inside bolt pattern and 1 1/2" seat raise. 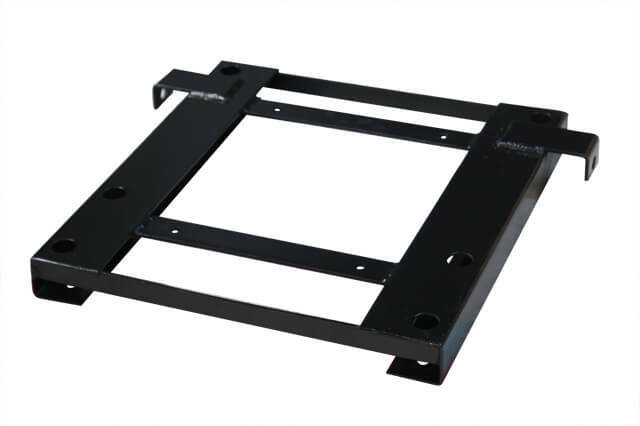 This adapter was tested and certified to meet or exceed FMVSS safety standards for sprinter adapter brackets. 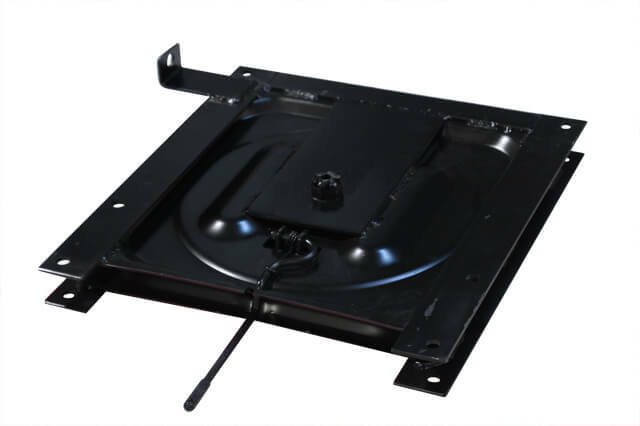 The 2007-2013 Sprinter Swivel Base was designed for easy bolt-on, with a 16 5/8 x 16 5/8" top bolt pattern. 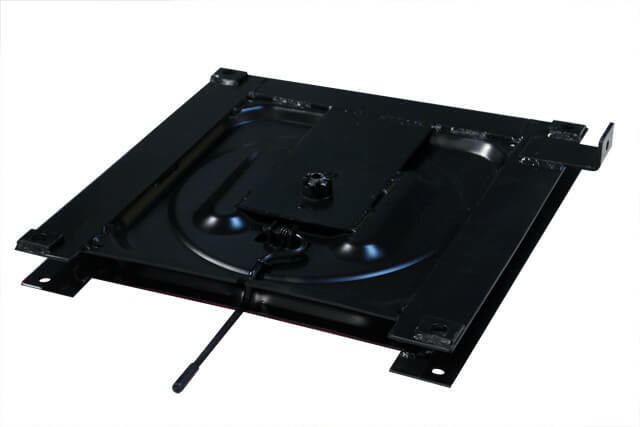 All materials meet or exceed FMVSS safety standards for sprinter swivel bases. tHIS 2001-2006 Sprinter Adapter Bracket was designed for easy bolt-on for after market seats. It has an 8x11" top bolt pattern. 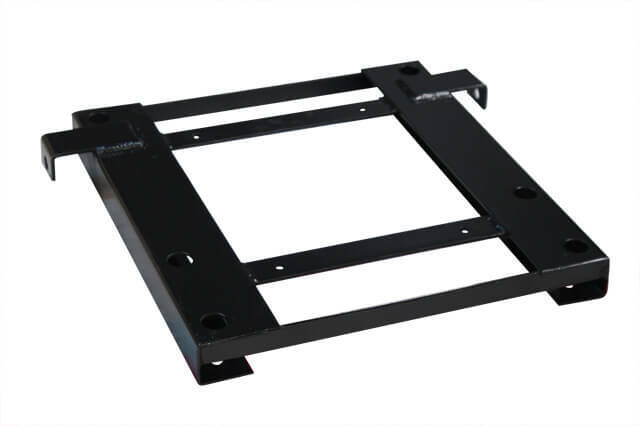 All materials meet or exceed FMVSS safety standards for sprinter adapter brackets. 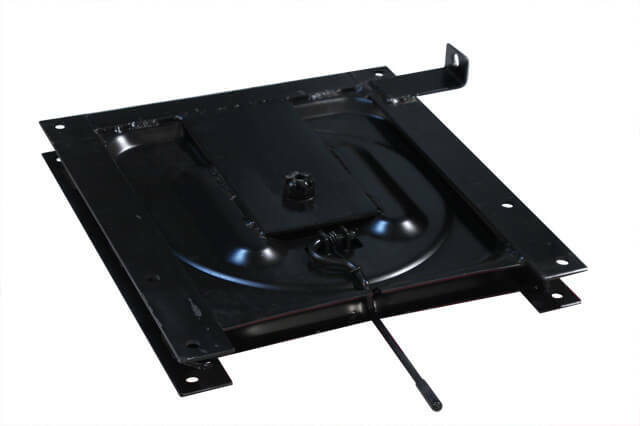 The 2001-2006 Sprinter Swivel Base is designed to bolt on easily to any sprinter seat. It has an 11x14" top bolt pattern. 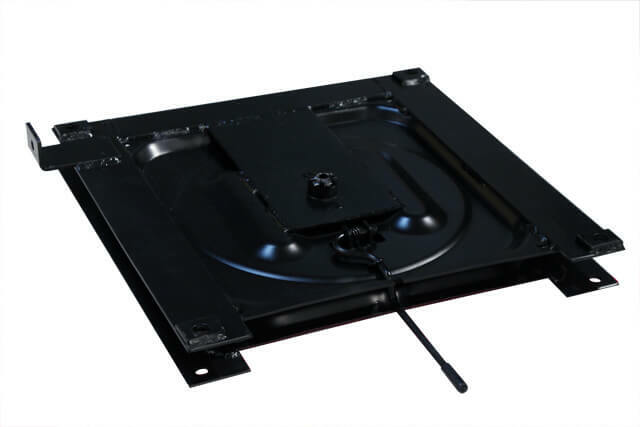 This base meets or exceeds FMVSS safety standards for swivel bases. 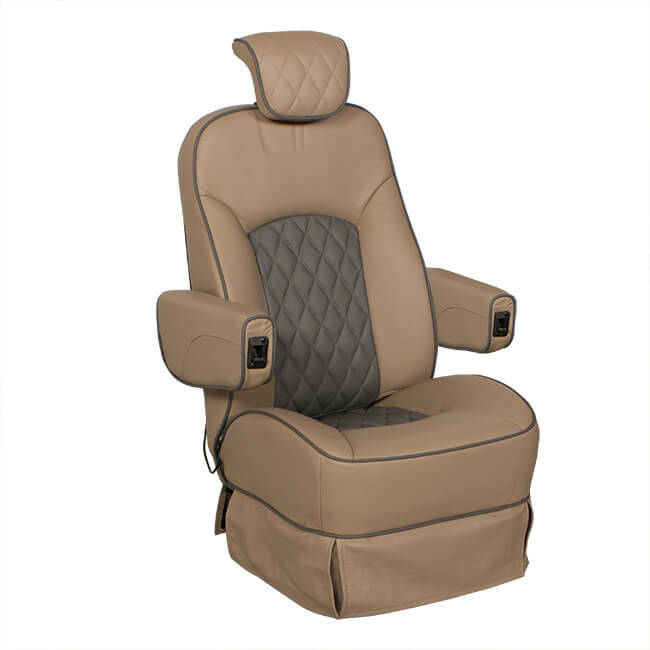 Top Bolt Pattern 14" wide by 7.5, 9.5, 10.25, 11, 12, 13, 14.5"
The DeLeon AM Sprinter Seat is at the top of its class, with a design which will transform your sprinter van. 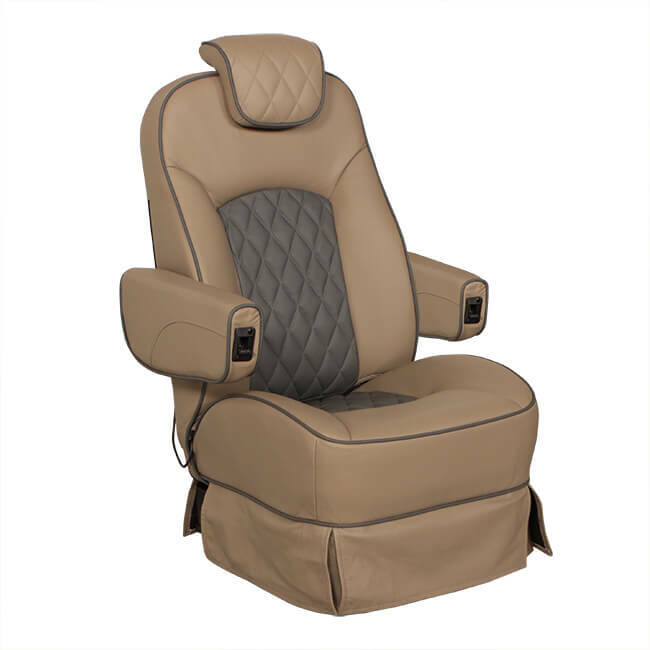 The design of this sprinter seat has been carefully crafted from inception to construction as the ultimate in seating experience. 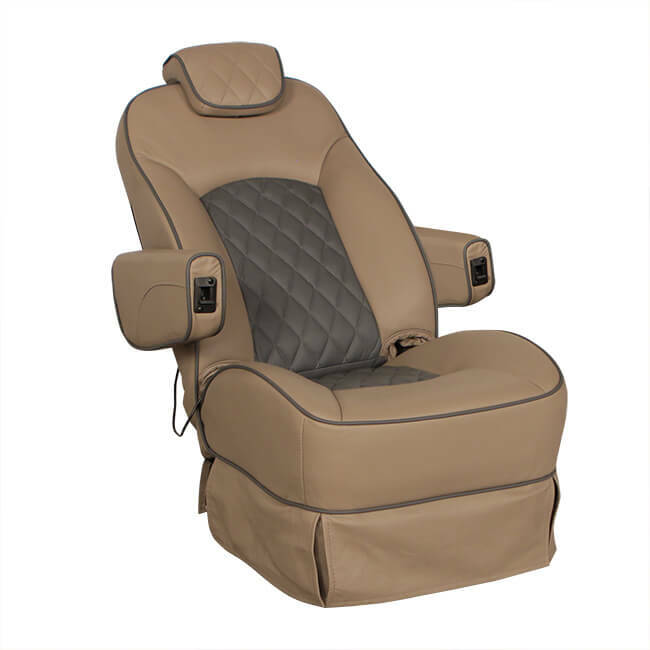 The De Leon mixes outstanding ergonomic features with a reclining back and luxuriously padded headrest, for a sleek and opulent feel. 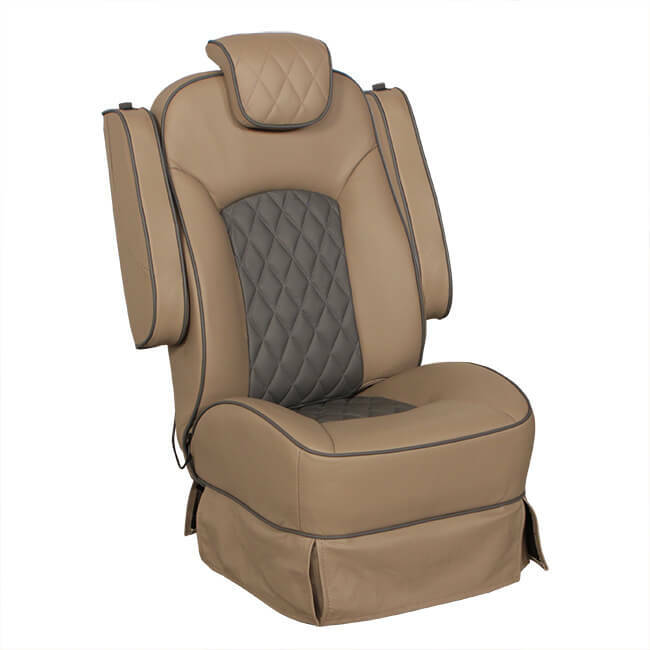 The conversion chair design also features lavish seat bolstering for premium lower body support.  Finally, a richly polished overall sheen proves irresistible to anyone looking for supreme elegance at a supreme value.